HOW DO I CONSIGN MY WATCH? Step 3: We give you cash or wire when the watch sells! WHY SHOULD I CONSIGN MY LUXURY SWISS WATCH? These are just some examples of why you might want to consign your watch. HOW LONG DOES IT TAKE TO CONSIGN MY WATCH? That depends mostly on the price you’re looking to get out of the watch and how desirable your watch is. Let's say you have a vintage Rolex Daytona and you want $32,000 for it, but the market value is roughly $30,000. Under these circumstances, it is likely going to take 6 months or more to get it sold. On the other hand, let's say you have a Audemars Piguet Offshore Limited Edition and you want $20,000 out of it and market value is $21,000, we will likely get it sold in 1-3 months. HOW MUCH DOES CONSIGNMENT COST? That’s right, we don’t charge for consignment! However, we are selective with the watches we take on consignment. 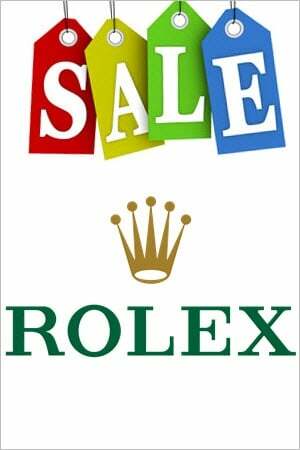 That means we don’t consign every watch, we prefer watches that have a reasonable chance of selling at a fair price. Once you submit photos of your luxury Swiss watch, we’ll let you know if it’s a watch we can take on consignment for you. Once we agree upon a consignment price, we will market the watch for you slightly above the net price you want, with the remainder going to Jaztime. For example, if you want $15,000 for your Patek Philippe Calatrava and we sell it for $16,000, then we keep $1,000 and pay you $15,000. HOW DO YOU DECIDE WHICH WATCHES TO CONSIGN? Generally, if you have a watch that you want to consign that means you want to sell it. Since Jaztime buys Swiss Luxury watches, the first thing to do is see if you can accept our cash/wire offer. If you cannot accept our offer, then we can then try to consign your watch. Our criteria for consigning your Swiss watch is whether or not you are looking for a price close to market value on your watch. The reason is because Jaztime will have to inspect, polish, service, and warranty your watch when it leaves our store. Additionally, we’ll market your watch to tens of thousands of customers in our database along with more than 100 dealers we work with. All of that costs money, and since we don’t work for free, we’ll need to make something off your watch when we sell it for you. WHY WOULD YOU NOT CONSIGN A WATCH? If you are asking for a price too high for your watch and we think it is unlikely to sell at that price, we’ll politely decline the offer to consign your watch because we don’t want to waste your time, or ours. We also don’t consign watches that we don’t think we can find the clientele for. You and Jaztime cannot come to an agreement on price. You want $10,000 and Jaztime is only willing to pay you $8000, and market value is $8500. Jaztime would offer you the choice of consigning your watch for $8500. You accept the offer to consign the watch at $8500. Jaztime would market the watch to thousands of its customers along with more than one hundred dealers. Once the watch sells, Jaztime would wire or pay you $8500 and keep the remainder.